Beautiful model with bindings! In the file there are many formats of the ring. As well as nine different finger sizes, Starting from 15 mm and up to 19 mm. Everything is done qualitatively and thoughtfully. 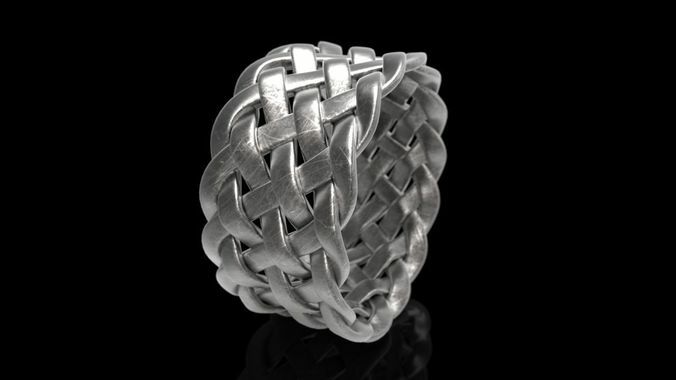 Beautiful ring ready for 3d print. In the file The following formats are presented: 3dm, obj, fbx and 9 files .stl formats Size - from 15 mm to 19 mm (I can make any size you want, its free) ____________________________________________________________ Weight .......................Gold 14 k _ +\- 6 gr .......................Silver _ +\- 5 gr ___________________________________________ All my models were printed on the printer and were cast in precious metals. Every your purchase is a great incentive for me to add more models to the site. https://www.cgtrader.com/d_ternavskii - See also my other models, thank you!